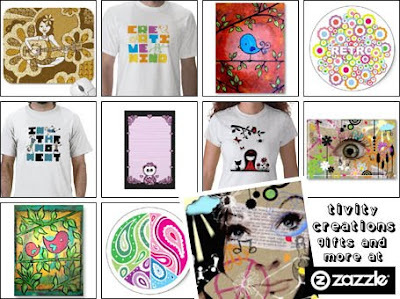 What you are looking at above is just a sample of the adorable artworks created by a designer called Amy-lee in her Tivity Creations Zazzle shop. Tivity Creations sells everything from t-shirts and bags to postcards and prints, and a lot, lot more besides - all of which are adorned with Amy-lee’s utterly adorable artworks! Simply beautiful! So why not head on over and treat yourself to a little piece of loveliness. You know you want to!